am sure that everyone will agree that hybrid devices pave the way for innovations in technology. And this is so very important because technology now has its place in any pocket, in any bag in any hand, making our lives easy to enjoy and share. The device you are about to see we called a two-faced hybrid. 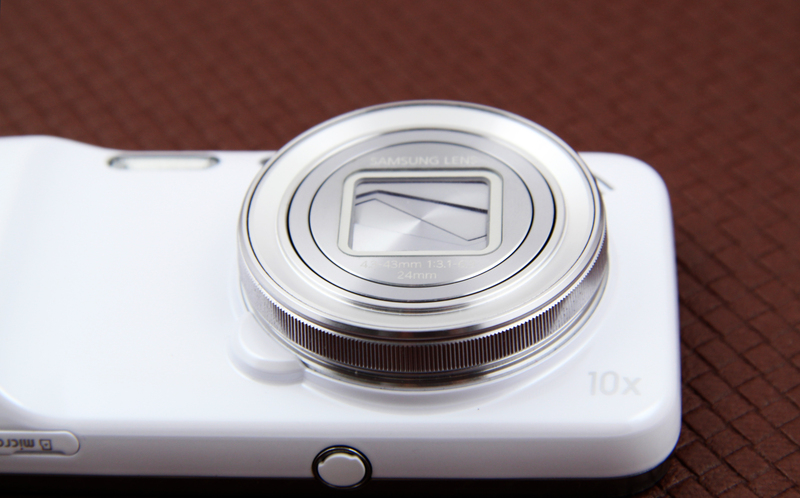 Digital Magnet reveals Samsung Galaxy Zoom – a symbiosis between a smartphone and a digital camera. 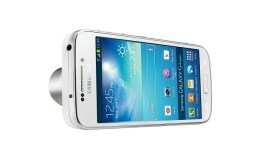 Both inside and outside the latest member of the numerous Galaxy family is innovational. This is exactly one of those gadgets you instantly fall in love with or just the opposite – you find too awkward and weird to use. Maybe the dominating feature here is the camera interface and hardware, which has smartphone capabilities. Let’s start with that. The Android Jelly Bean 4.2.2 platform on board was given Smasung’s Touchwiz interface. The smartphone side on the front offers a 4.3-inch SUPER AMOLED display at 540×960 pixel resolution. 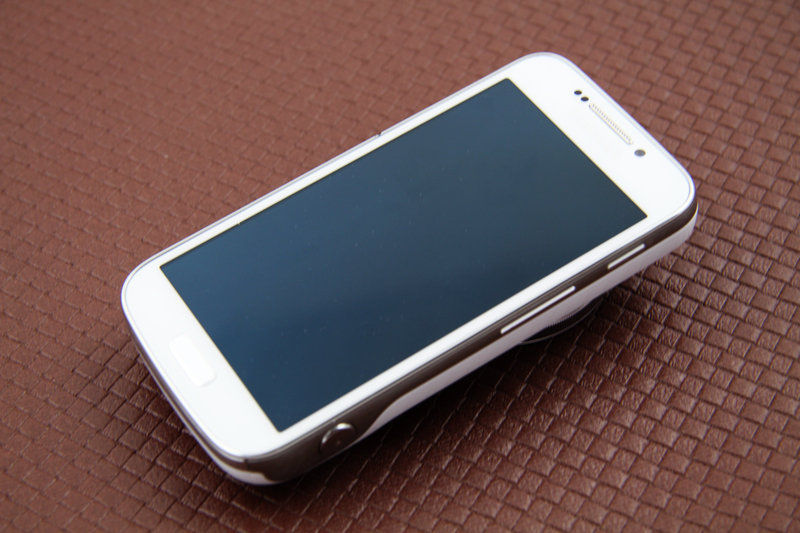 It is well protected by the 3rd generation Gorilla Glass protection we also had in the S4. The device is powered by a dual-core 1.5GHz processor inside and uses 1.5GB of system memory. It is a little less powerful than the flagship of the family but most of the new features which the Galaxy S4 introduced to the world are present here like the S Translator, Group Play and many more. Being a camera phone the 8GB (5GB user-available) of storage seem quite insufficient for photography enthusiasts to store their photos and videos. They will be able to use more storage with an SD card. 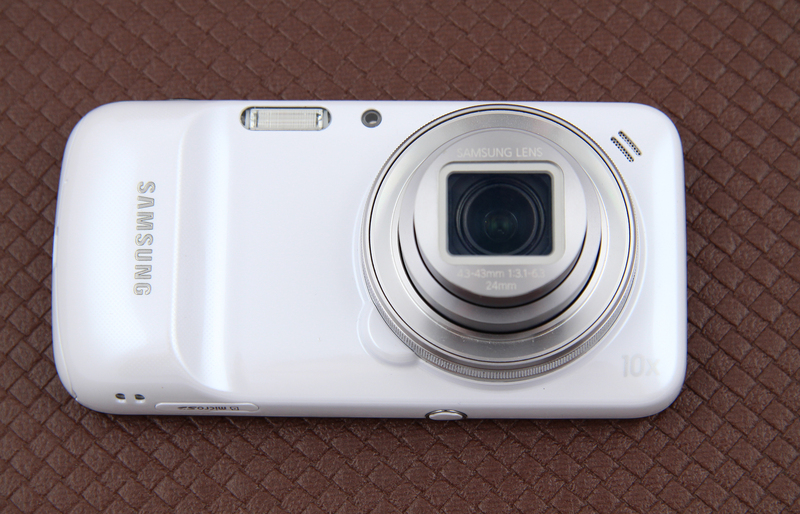 On the back of the smartphone there is a point and shoot camera – a full sized one. The camera of the Galaxy Zoom device boosts high 16MP quality on the CMOS Sensor inside, but more importantly, it is loaded with big 10x optical zoom. The 24-240 mm lens offers an aperture range of f/3.1 to f6.3 and is optically stabilized to deliver sharp and crisp images. It is also expected to perform excellent in low light because of the powerful Xenon flash next to the lens. The ISO level varies from 100 to 3200. Samsung Galaxy Zoom is also able to record FullHD videos. In other words, it is a fully capable digital camera on the back of a smarphone. All smartphone cameras have so far been capable of zooming in and out but digitally. This is an entirely electronic process, implemented simply by cropping a part of the picture and interpolating the pixels. This portion of the image is then recreated and magnified which results in reducing the overall picture quality. 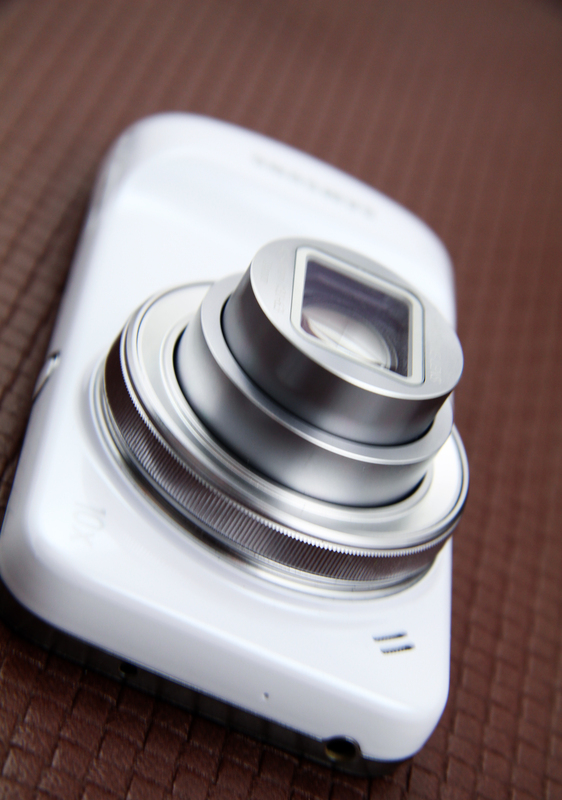 On the contrary, the optical zoom on the S4 Zoom is related to mechanical movement inside the lens in order to shift the focal length by changing the ratios of internal lenses. The second process is much more complex but it doesn’t sacrifice the quality. In other words the resolution of the zoomed image remains the same. This will be the main advantage of what apparently will be the best camera phone at the moment. Hooking up a whole camera on the back of a smartphone, Samsung has definitely sacrificed the thin and light design of the Galaxy S4. Putting a telelens on a smarphone is certainly something yet unseen but so is a man walking down the street with a camera on their ear. A video call front camera is also provided, it has 1.9MP quality. As both a big display smartphone and a point and shoot camera need a lot of power supply Samsung provided their smartphone-camera hybrid with a high capacity 2330 mAh battery piece. Only time will tell whether this device is going to conquer its own market segment. This phone is clearly focus for camera/phone hybrid. The downside of this phone is that it wouldn't make it through a full day w/o backup battery.